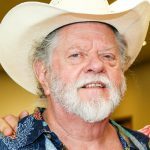 Perry Wayne Nations, 75, of Granbury, passed away on Saturday, November 24, 2018. Memorial service: 11:00 AM, Monday, December 10, 2018, Wiley Funeral Home Chapel, Granbury. In lieu of flowers, memorials may be made to St. Jude Children’s Research Hospital. Perry was born on June 26, 1943 in Tucumcari, New Mexico to Wyatt and Lucille Nations. He was very proud of his country and served in the United States Army. Perry loved rodeos and enjoyed taking Wyatt with him. He took his children to their sporting events, and enjoyed traveling on family vacations to the mountains in the motor home. Perry loved watching westerns on TV and he had them memorized. He also enjoyed car auctions on TV and shooting pool. He was preceded in death by his parents, and brothers: Fred and Lewis. Perry is survived by his wife: Sondra Nations, children: Wyatt Nations and wife Linda, Jacinda Owen and husband Darrell, Carey Don Nations and wife Carla, and Veree Patterson, stepchildren: Eric Wilkins and Stefanie Derrick, 11 grandchildren, sisters: Peggy Kauffman and Judy Smith and numerous nieces, nephews, and extended family and friends. He was a good Christian man.. I will miss him and I love him so much..